If you’re like most homeowners, you want the roof on your house to last for a very long time. It would be even better if you never had a problem and it continued to look good. 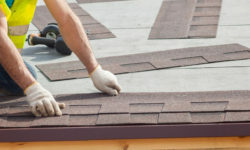 While no one can promise that your roof will last for decades without any issues, using quality materials is a good place to start. 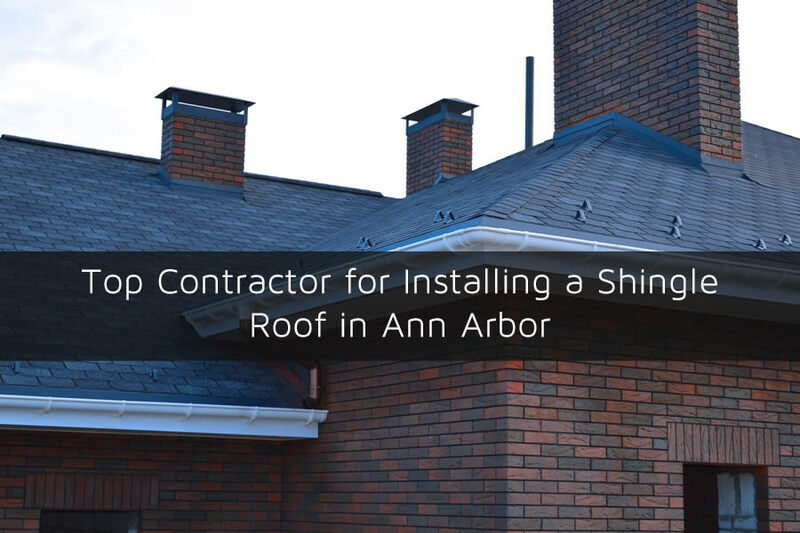 Quality roofing materials and installation, as Rapid Roofing offers in Ann Arbor, can help assure that you’ll have a great roof for many years to come. Your roof creates a big part of your home’s visual appeal. A good shingle choice can help make your home stand out and boost its curb appeal. So shouldn’t you spend some time deciding which shingles will best complement your home’s architecture and color scheme? So Many Choices of Asphalt Shingles . . . If you choose asphalt shingles for your roof, you’ll find they come in a mind-boggling variety of styles and colors. Some shingles are straight, some dimensional, and some even replicate natural stone tiles or wood shakes. We would be happy to help you sort through all of your options and figure out which shingles would be ideal for your home. First you must decide whether you prefer the traditional three-tab style of asphalt shingle or the newer dimensional shingles. The old, straight, three-tab shingles aren’t used much anymore. Though they are cheaper, homeowners generally like the more distinctive look of architectural or dimensional shingles. While they’re thicker and somewhat more expensive than the three-tab, dimensional shingles are easier to install. They also can fit different budgets. The next consideration when choosing the right shingle is color. Color blending today has resulted in some outstanding shingle color choices. GAF, a top shingle manufacturer, makes shingles with proprietary shadow bands and a random blended top layer. The result is a shingle color with exceptional depth and dimension. One more thing to keep in mind about shingle color. Lighter color shingles will reflect light and heat, while dark colors will absorb it. Shingle colors look different in various types of lighting. Make sure you take a good look at shingle samples in different lighting before you make your final decision. 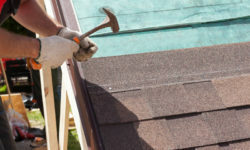 There are other considerations when deciding on which asphalt shingles should be put on your roof. 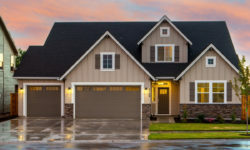 In humid areas, asphalt shingles are more susceptible to algae growth, so you may want to look for algae-resistant shingles, noted as “AR.” Algae resistant shingles help prevent those ugly black streaks you often see on roofs. Another complaint about asphalt shingles has to do with durability. A standard asphalt shingle can rupture or crack if hit with large hail. In fact, hail damage is one reason for roof replacement, and hail damage is not typically covered by roofing shingle warranties. Some of the newer asphalt shingles are impact resistant and given an “IR” designation. IR shingles have passed the Underwriter’s Laboratories Class 4 Test and show no evidence of tears, cracks or ruptures after impact. 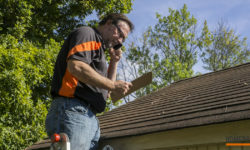 This is important because many insurance companies will give you discounts on your homeowners insurance, if you put Class 4 shingles on your roof. In addition, polymer modified asphalt (SBS) technology makes the asphalt more flexible, and in testing, polymer modified IR shingles performed better than IR shingles alone (about a 20% to 50% improvement). GAF is one shingle manufacturer that offers IR and SBS Modified Shingles. Contact us and we can show you samples. The length of time you can expect your asphalt shingles to perform will depend on the climate, installation and other factors. Many companies offer limited lifetime warranties on asphalt shingles, which can be a long as 50 years. But asphalt shingles can become damaged long before the warranty expires. 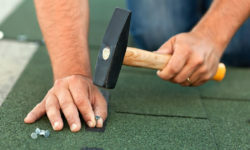 A manufacturer may also void your roof warranty if it’s determined that your roofer didn’t install the roof according to their “specifications.” That’s why you need to make sure you hire a top roofing contractor for installing an asphalt shingle roof in Ann Arbor, like Rapid Roofing, that uses quality material and is certified by the shingle manufacturer.